Seeing as though both models of the Airpods come in the same form factor, if you’re looking for a great case, you should check out the AirPods Case. 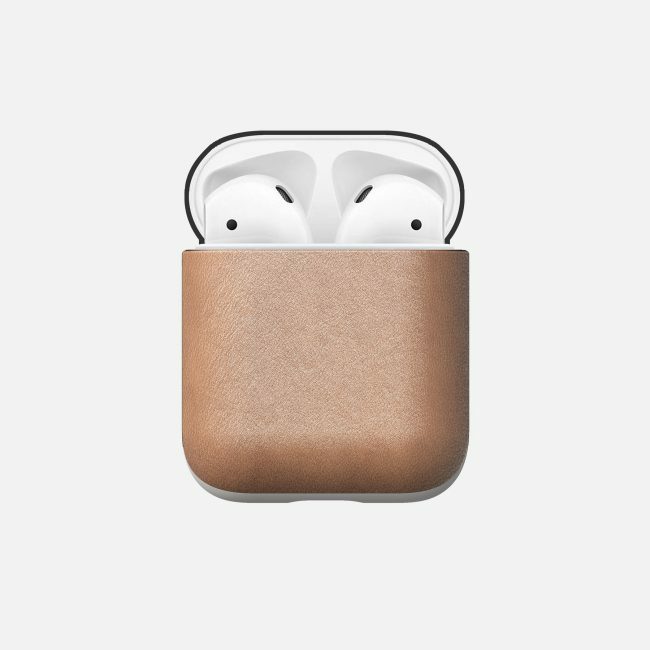 Made of Horween leather and available in brown, black or natural leather, the AirPods case will prevent the white casing of the Airpods from developing scratches and dings. Each color, no matter which you pick, will develop an awesome patina over time, and honestly, I cannot wait to get my hands on a pair. Each of the three colors will set you back $29. Finally, there’s the Base Station Hub Edition. 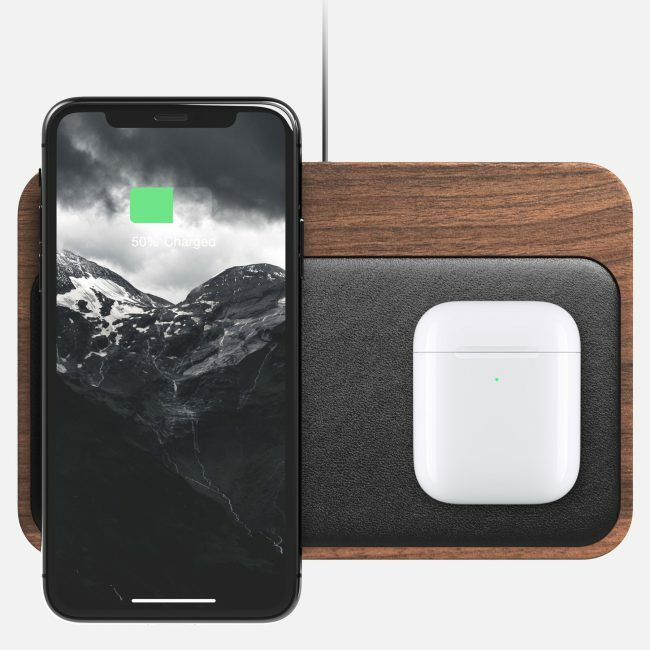 Featuring three 10 watt coils, on top of a USB-A and USB Type C port, the Base Station will charge up your Apple iPhone, as well as your Apple AirPods case if you purchased the $199 model that allows for wireless charging. You can purchase the Base Station Hub Edition in aluminum for $99 or walnut for $124.95.